GTI Aviation Training specialises in Aviation Best Practice & Networking Training events that are focused not only on the professional classroom teaching, but also on valuable industry networking, leading airports’ visits and 5 Star hospitality. 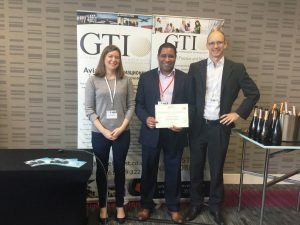 GTI Best Practice & Networking is a subsidiary of Global Travel Investments (GTI) Ltd that was founded in 2010 by Mike Howarth the creator and ex-Chairman of Airport Strategy & Marketing Global Training (ASM), award-winning Routes forums and successful Emerging Destinations forum Reetex. Mike previously was the Head of Scheduled Air Service Development at Manchester Airport and Hub Development Manager for Lufthansa/Business Air. Following the sale of The Routes Forums & ASM to UBM in 2010, Mike set up Global Travel Investments, of which GTI Aviation Training is a subsidiary. 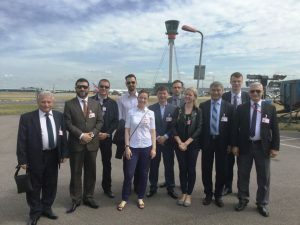 Since then the leading airports, CAAs, biggest ground handlers and airlines from EU, Eastern Europe, Russia, CIS, Balkans, Baltics and Asia have taken refresher training, improved knowledge and skills, learnt Best Practice, strategies and the latest methods of dealing with challenges and opportunities in today’s complex working environment. 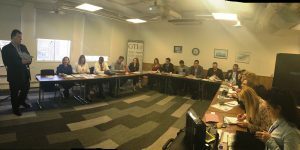 GTI Best Practice and Networking Training invites all representatives of airports, airlines, civil aviation authorities and GSP’s to choose the most relevant training and learn proven techniques, strategies and methods to deal with aviation challenges. 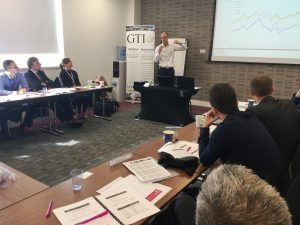 GTI Aviation Training gathers all delegates’ requirements to ensure that our training & networking events are in line with your vision and agenda. Ground Handling Management Best Practice Training focuses on establishing safety culture and ground handling SMS and operational regulations. Industry experts and guest speakers from leading European airports will highlight the best practices of their operational environment, focusing on increasing on-time operations performance. This best practice training covers all handling functions and operational aspects to perform quick turnarounds and minimize delays. 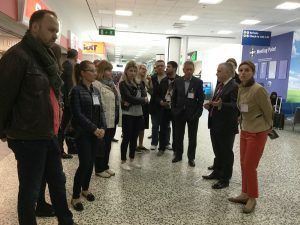 Essential part of the event is the Airside Ground Handling Tour, followed by a Networking Drinks Reception with the industry colleagues for experimental discussions. The next one being held is from 31st October – 4th of November 2016, in Central London. Maximizing Airport Revenues Best Practice Training is a Must-Go course for Executives wishing to hear and see the very Best Airport Commercial Practices and the latest developments. Throughout the course there will be interactive discussions, case studies and group exercises to help you make the most of the knowledge on offer. 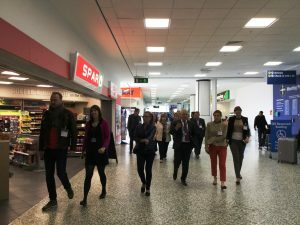 There will be an airside retail tour and a full social program to increase your networking opportunities. Maximizing Airport Revenues 2016 benefits all managers and directors involved in commercial and retail operations. 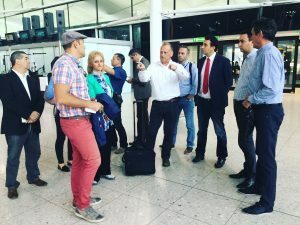 Learning the leading techniques and processes of maximizing your revenue streams; allows participants to evaluate new and emerging solutions to many of the challenges involved in planning and managing airport commercial activities. Maximizing Airport Revenues 2016 is designed especially for Airport Executives with such functions as Commercial, Marketing, Finance, Property & Strategy. Interrelated functions such as Marketing, Route Development and Operations would also benefit from the course. Maximizing Airport Revenues 2016 includes 1-2-1 meetings between airports and concessionaries to develop new business relations, followed by a visit to airside retail/ Duty and Tax Free shops, Food & Beverage outlets. The next one being held is from 13th – 15th December 2016, in Central London. Advanced Airport Operations Management Training is a 5 days’ intense training event aiming to refresh your airport operations knowledge, share the information, learn from IATA and ACI instructors and guest speakers carefully selected from the world’s leading experts in the industry as well as find out about the latest innovations in the airport operations management. 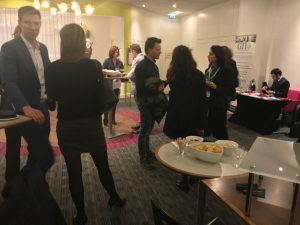 Essential part of the event is the Networking with Industry Leaders, Live Case Studies and Video Presentations for the real world experience. 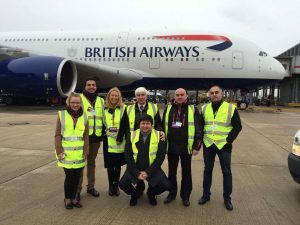 The program also includes a practical visit to a London airport, presentation from the world’s leader in Slot Coordination and Emergency Services. 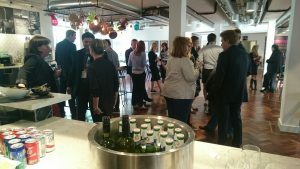 Another integral part is the Networking Drinks Reception with the top British Aviation suppliers and consultants to exchange ideas, refresh knowledge & share best practices. 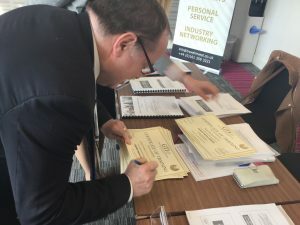 Airport Traffic Growth Best Practice Training is 3 Quality Days, once again focusing on Best Practice and Networking for airports, airlines, tourism authorities and other organisations looking to grow their Schedules and Leisure Traffic and Destination. This unique crossover event (Leisure and Scheduled) is your annual opportunity for Continuing Professional Development. The agenda-setting sessions are led by experts with real world experience. Over 3 days, we will seek to address the issues important to you and help deliver even more growth for your airport and your destination. The event will outline the latest techniques designed to increase your passenger numbers, through both scheduled and leisure flights. 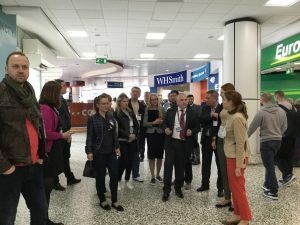 Throughout the course there will be interactive discussions, case studies and group exercises to demonstrate Best Practice of how airports can attract more traffic. 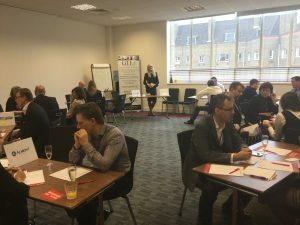 Unlike the usual training courses, it will include real world networking with key industry players to increase your networking opportunities.